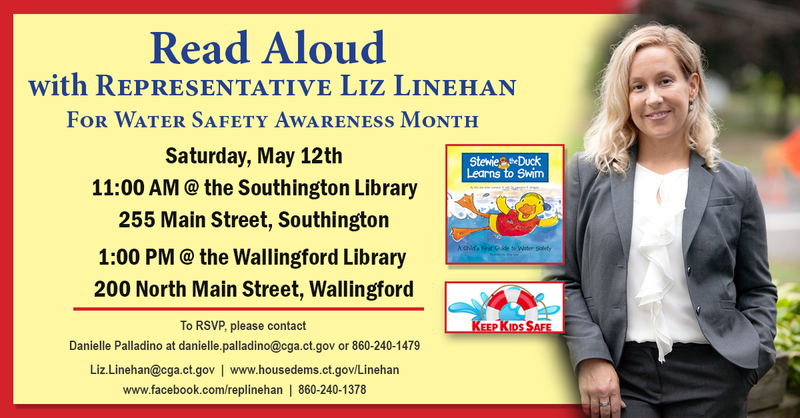 This Saturday I'll be reading "Stewie the Duck Learns to Swim" at the Wallingford and Southington Public Libraries to teach kids about water safety. May is Water Safety Awareness Month. Hope you can join me!